In Green Spain, we’re spoilt for choice with excellent ingredients and top class chefs preparing unbelievable meals in the most inspiring locations. And because Cantabria isn’t gridlocked with tourists, you get to enjoy Michelin-star dining in Cantabria for amazingly good value. Need help choosing which of the restaurants in Cantabria you should choose for your special meal? 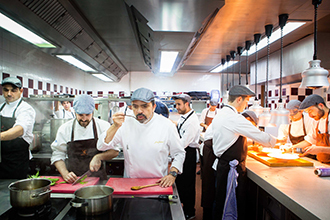 Chef Jesus Sanchez, originally from Azagra on the Navarra – La Rioja border, opened his restaurant in 1993 and was awarded his first Michelin star just two years later. His second star came in 2016. Whether you order ‘a la carte’ or opt for one of the three tasting menus, you’ll find the entire experience to be a highly enjoyable one. It’s located in Villaverde de Pontones (Ribamontán al Monte) across the bay from Santander – which takes just 20 mins by car. The Michelin Guide praises the “charming 18C palatial property featuring interesting contrasts between the traditional and the contemporary. It has several dining rooms and welcoming private sections, all exquisitely appointed. The personality and talent of the chef and their team is evident in the expertly crafted dishes, which are refined, inspired and sometimes original.” We concur with all of this. 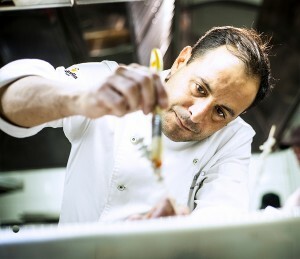 Chef Jesus Sanchez lives and breathes gastronomy and his second star was long overdue, according to gastronomy circles in the region. Whatever the occasion, the service is impeccable here. It’s sufficiently relaxed to bring your family but it’s also perfect for a really special meal for two. Located in a stunning historic palace that was built in 1756, with wonderful gardens also, every inch of this experience is rewarding. Book it today – we guarantee you won’t regret it! And just in case you were wondering about the name, ‘Cenador de Amos’ is a garden alcove dedicated to his grandfather, who travelled Navarra from village to village, selling food and other staples. 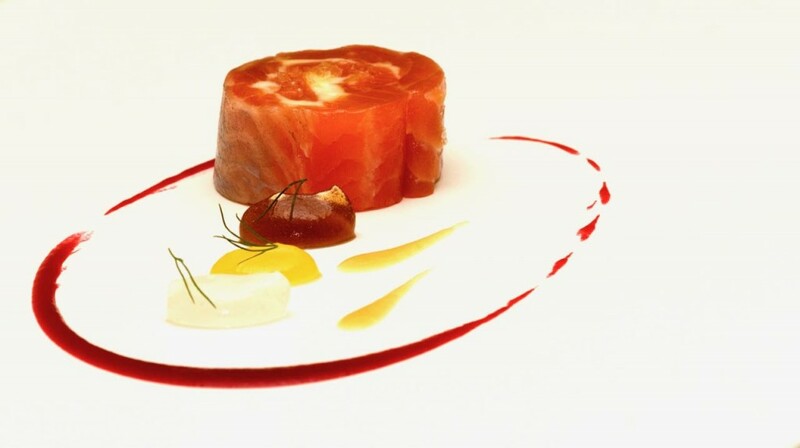 Times have changed and when Sanchez travels for work, it’s to represent Cantabria and Spain at high-end gastronomy events. 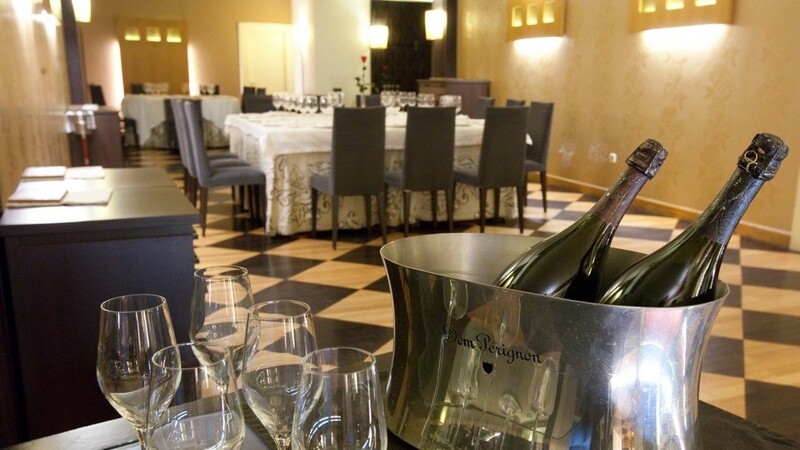 The Michelin Guide indicates a price-range of 47-97 EUR per person at El Cenador de Amos. Visit a cheese-maker in La Vega de Pas before dining in El Cenador de Amos. Explore the many wonderful beaches in Ribamontan al Mar. Check out the funky cafe/restaurant run by this chef at El Muelle cafe/restaurant at the Renzo Piano designed Centro Botin in Santander. Chef Oscar Calleja was awarded his first Michelin star in 2012 and his second came just four years later in 2016. 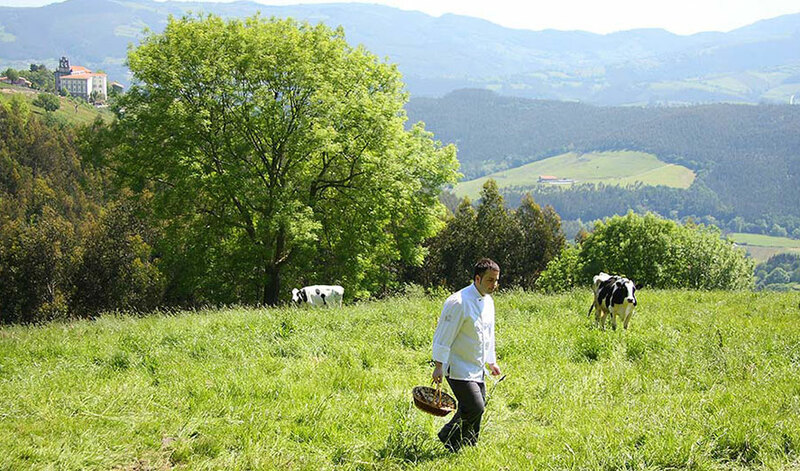 He knows how to pick a great location too – Annua boasts the best sea views in the region and is the only Michelin-star restaurant in Cantabria that looks out onto the coast. 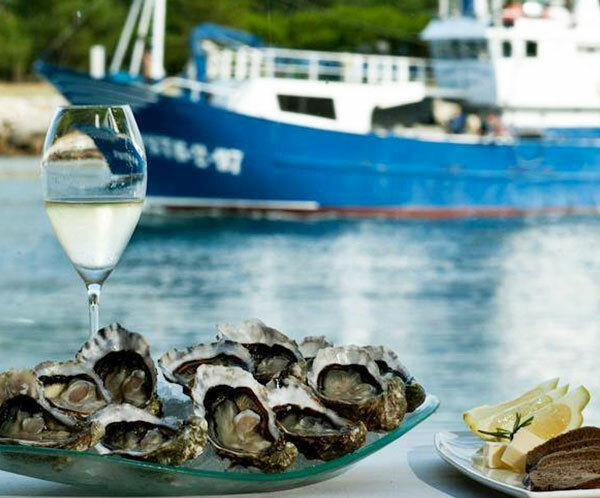 As you’d expect seafood including local oysters feature prominently amongst the beautifully presented dishes in this modern location that embraces the sea. In fact, you can arrive by boat as the fishermen used to when bringing a haul or seafood to this former oyster restaurant. The Michelin Guide praises the “good location by the waterfront, with two superb terraces, one of which is a chill-out zone.” The cuisine in the gastronomic restaurant is based around two creative tasting menus but if you don’t have the two hours or so necessary for the tasting menu, you can try the faster and less expensive shared platters (from the ‘racion’ menu) in the more informal Nácar restaurant indoors. Wherever you dine, we recommend booking before traveling here, as it does fill up during the Summer months and it closes for the winter – its actually closed now and re-opens on March 15 2018. 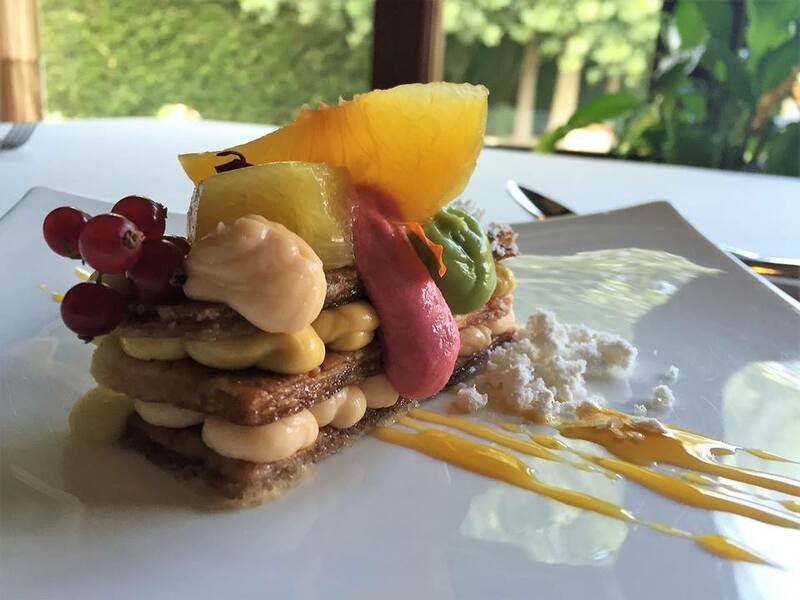 The Michelin Guide indicates a price-range of 80-90 EUR per person at Annua. Take a tour of the Capricho de Gaudi (one of the few buildings by Gaudi outside Catalonia) before having an equally memorable experience at Annua in San Vicente de la Barquera. Enjoy a walk on the beach in San Vicente where you can also enjoy great views of the Picos de Europa in the distance. 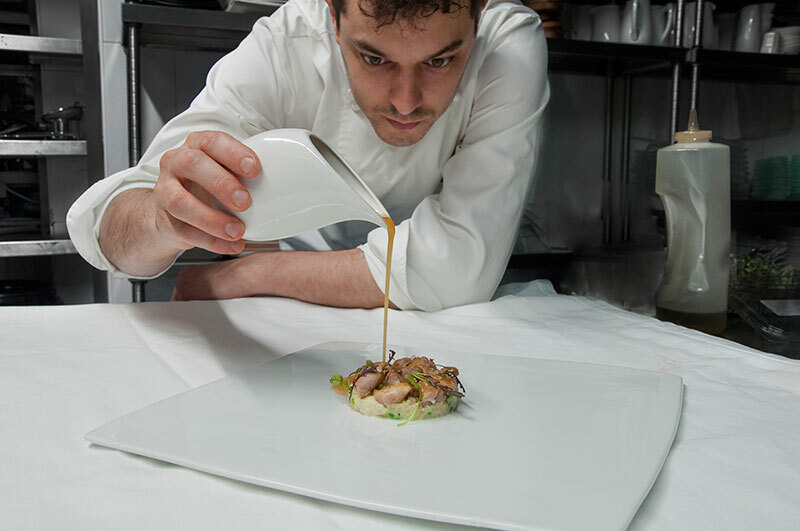 Check out Chef Calleja’s cuisine at Mexsia in Santander – which offers a combination of Mexican and Asian dishes. If Cantabria for you denotes green fields and dairy herds, then book yourself a table at Solana, which is 45 mins from Santander and one hour from Bilbao. Chef Ignacio Solana is the third-generation of the family at the helm of this restaurant (and the first to be awarded a Michelin star!) back in 2011. The high-level contemporary cuisine is complemented by a few traditional dishes – and everything you’ll order will be seasonal and locally sourced. Opt for the tasting menu or order ‘a la carte’ – but make sure to try the croquetas which won the award for best croqueta of 2017! There is an informal bar serving ‘raciones’ attached to this Michelin-star restaurant where the winning croqueta is always on offer. The Michelin Guide indicates a price-range of 48-72 EUR per person at Solana and the restaurant remains open all year long. See how the anchovies are cured in Santona before heading inland to dine at Solana. Visit the Renaissance and Baroque sanctuary to the Bien Aparecida. Explore the cave paintings and rock formations at Covalanas and Cullalvera in Monte Pando, Ramales de la Victoria. Located in a stunning 18th century water mill (hence the name ‘molino’), just 10 minutes from Santander, you’ll feel like you’ve been whisked away to another time and place. Make sure to book well in advance especially during the Summer months when this location is popular for weddings. 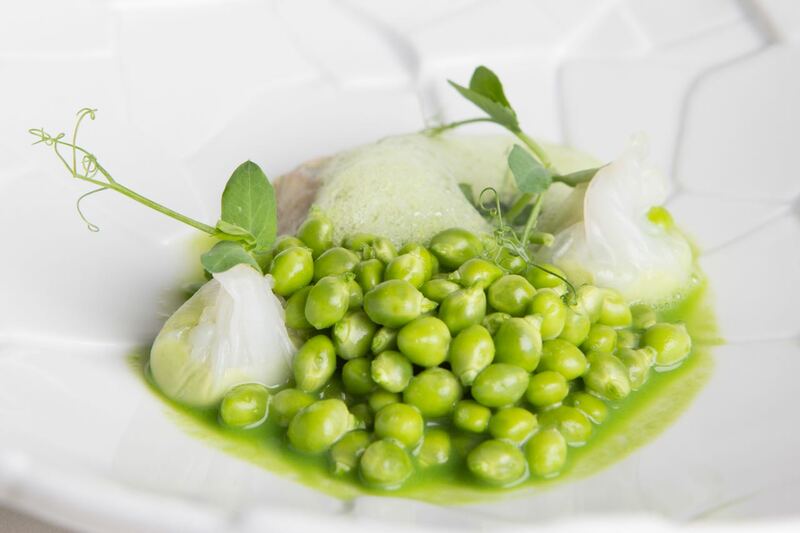 The Michelin Guide highlights its character including its wooden beamed dining room as well as its contemporary cooking, loyalty to local ingredients, the distinctive flavour of the dishes and the reliability as a whole. 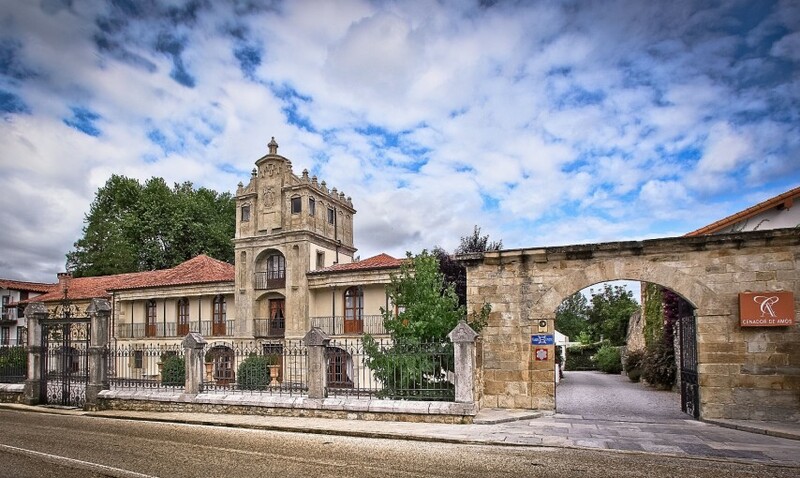 Because of its proximity to Santander, it’s one of the easiest out0-of-town locations to get to – either by car or taxi. It’s a great way to experience a little taste of rural Cantabria if you don’t have much time to explore the region. Order from the ‘a la carte’ or choose from the two tasting menus and look forward to two hours of gastronomy indulgence at its best prepared by chef, Jose Antonio Gonzales’. 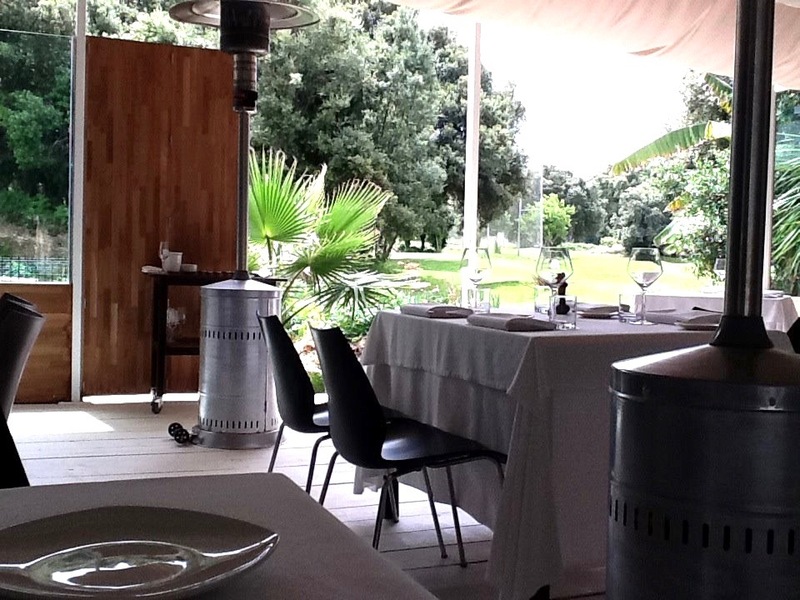 The Michelin Guide indicates a price-range of 38-65 EUR per person for El Nuevo Molino. See the medieval town of Santillana del Mar and learn about the three lies, the Northern Camino route and the sculptor Jesus Otero. Explore the cave paintings and rock formations at El Castillo and Las Monedas in Puente Viesgo. Learn more here about Cantabria’s caves. 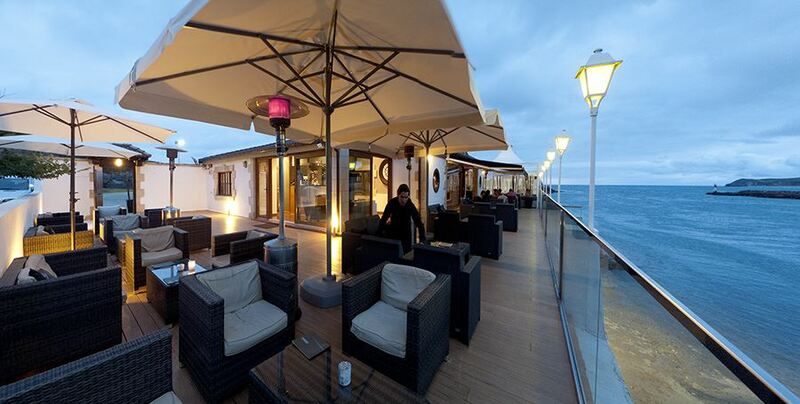 Located inside Puertochico – the old fishing port in Santander – El Serbal (meaning Rowanberry) has been serving exquisite dishes since it opened its doors in 1999. Don’t be put off by its sombre exterior – inside its neutral tones and simple lines leave you free to enjoy what you are there for – the cuisine. Every bite, sip and taste takes you on a journey – and you can choose its ‘a la carte’ or its multiple tasting menus. Roberto Terradillos heads the kitchen and has trained with the best chefs in Spain and abroad (his CV includes restaurants such as The Fat Duck, Akellare, Nerua, El Celler de Can Roca) so relax and enjoy! The Michelin Guide calls it one of the dominant players in a part of the city that is plagued with restaurants – and it’s true – Puertochico is literally heaving with wonderful places to dine. 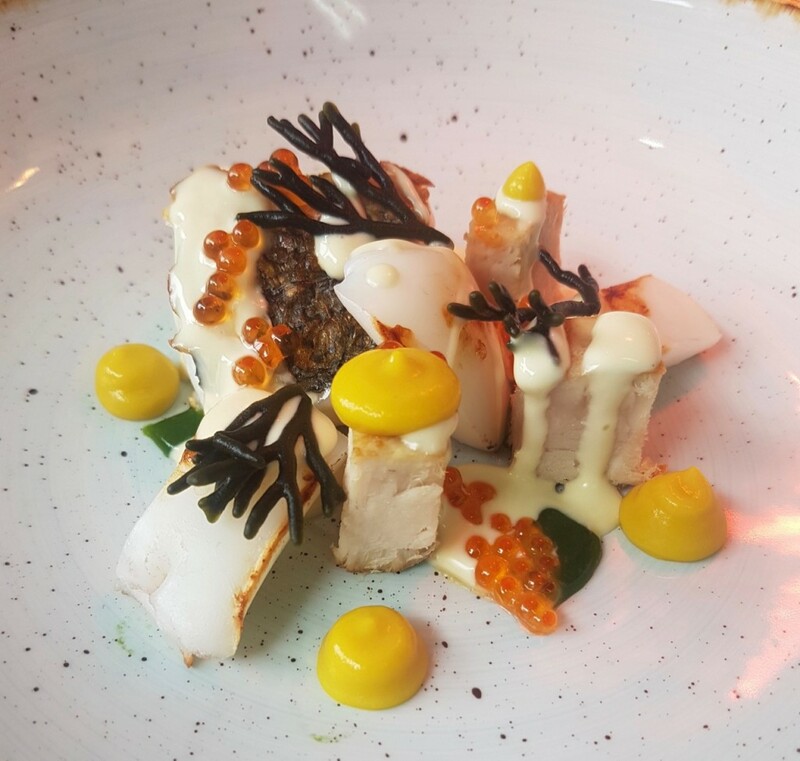 The inspectors enjoyed the high standard of ingredients, its traditional cooking with some contemporary twists, and the ability to execute great dishes consistently. 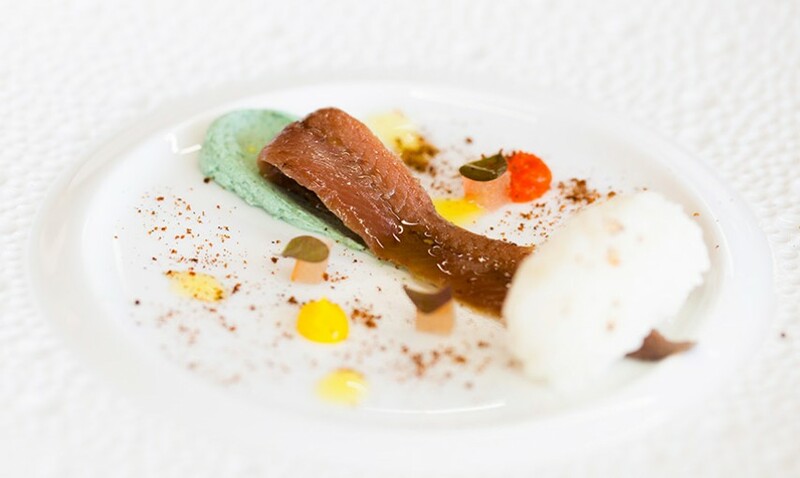 So, if you are in Santander and enjoy fine dining, you’ll be charmed by the service and the attention to detail that you’ll find at El Serbal. 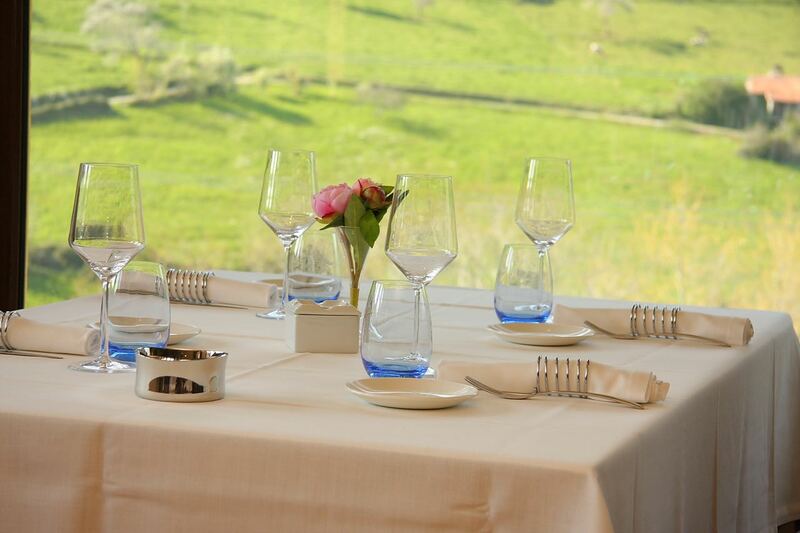 The Michelin Guide indicates a price-range of 38-64 EUR per person for El Serbal and the restaurant remains open all year long. Take a tour of the bay of Santander and learn about this coastal city that was favoured by the royals back since the 19th century. Visit the brand new Centro Botin designed by Renzo Piano that leans out into the bay. Check out its more informal sister restaurant, Querida Margarita, right beside El Serbal. Just a 40 minute drive from Santander and an hour from Bilbao, the town of Noja is best known for its two beautiful beaches and a crab called ‘necora’. But it’s also a place where you can enjoy fine dining at its best – at what we call a Michelin-star in waiting. Chef Javier Ruiz grew up here in Noja and loves to champion the local seafood. His restaurant is located inside the grounds of the nine-hole golf course in Berceda which is right beside the beaches of Joyel and Ris. Book in a round of golf or spend the morning enjoying the views from the beaches and have a lunch to remember here at Sambal. You might even find Javier on the beach – and no – he won’t be with his bucket and spade – he likes to gather the seaweeds and algaes to incorporate into his dishes. Fish and seafood dishes are highly recommended but you’ll also find a selection of meats on the ‘a la carte’ menu and the tasting menu. Although the dining is world-class, this is a place you can go to with the family and the staff will make even the youngest members of your group feel welcome and part of the experience. Perfect if you want to combine the beach or some golf with fine dining – or if you are staying in between Santander and Bilbao and Annua feels a little too far to get to. BTW Sambal is the name of a typical Indonesian spice paste made from chilli, lime juice, fish sauce, and garlic, ginger and shallot – and yes, you will find some Eastern influences in the cuisine. The Michelin Guide indicates a price-range of 40-51 EUR per person for El Sambal. NB The restaurant is now closed for the Winter months and re-opens on March 28 2018. Play a round of golf on the course where the restaurant is located – couldn’t be more convenient! Enjoy the long sandy strands at Ris and Joyel beaches. Have we made it any easier for you to choose your Michelin-star meal? If you still can’t decide and have the time, why not visit all of them? We can put together a customised itinerary to complement you and your interests. We have lots more suggestions to make your time in Cantabria really unique – see our other posts on Cantabria and read our guide to Northern Spain. Posted in Cantabria, Food & Drink, Green Spain, Santander, Useful Information and tagged Annua, Cantabria, Cenador de Amos, dining, El Nuevo Molino, El Serbal, foodie, gastronomy, Michelin Guide, Michelin star, Sambal, Santander, Solana, Spain. 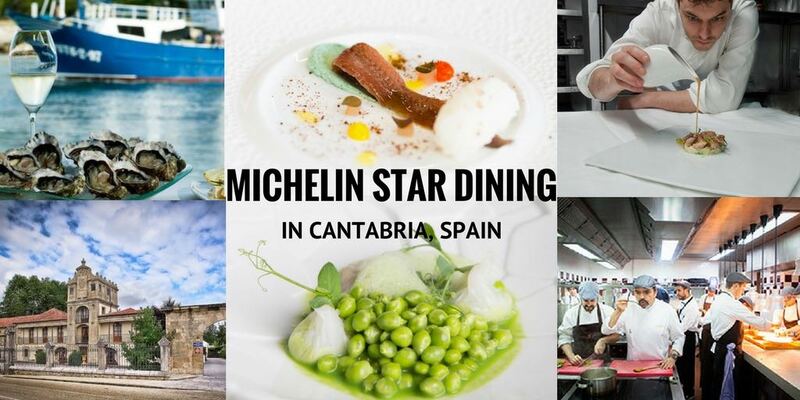 The Michelin stars for 2018 have just been announced and there’s a brand new star in Cantabria! 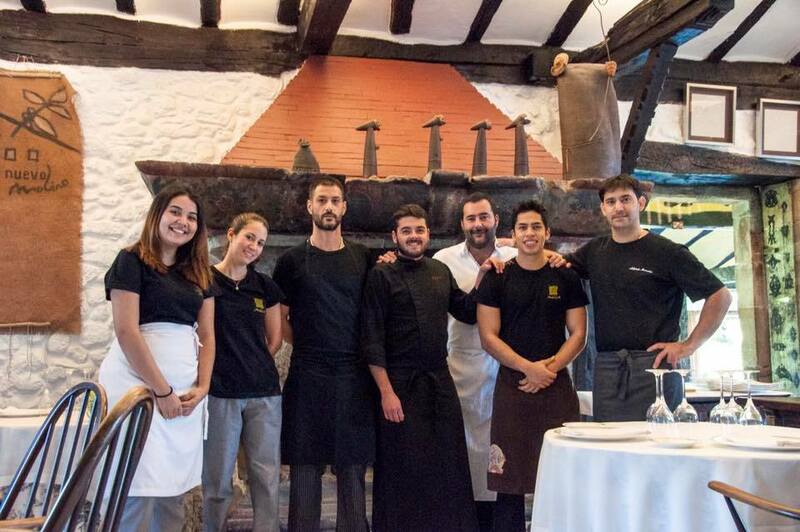 La Bicicleta in Hoznayo has just been awarded its first Michelin star. It’s a wonderful space that opened just 6 years ago and the food is amazing so we’re delighted. 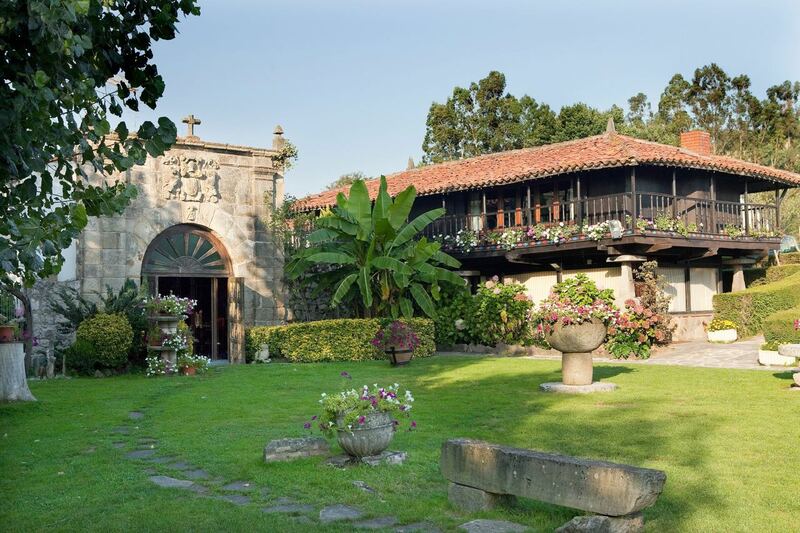 Hoznayo is easy to access from Santander (20 minute drive) and the rest of Cantabria and it’s only 8 mins from ‘El Cenador de Amos’ two-star restaurant featured at the top of this post.